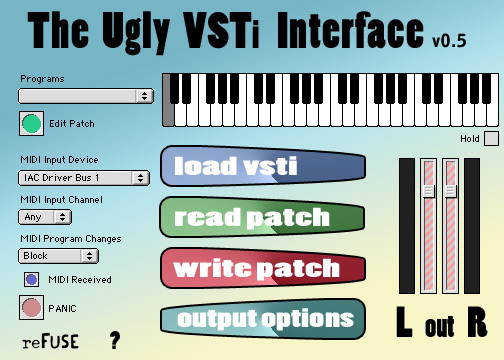 Our host application for VSTi plug-ins. It loads one VSTi at a time, and no effects, but it’s intuitive and stable. Loads VSTi plug-ins of both the VST formats available for the Mac: Mach-O (current) and Carbon CFM (old).